Need Better Options on Tow Truck Insurance El Paso Tx? The best telephone number to call for Tow Truck Insurance in Texas is 800-998-0662. 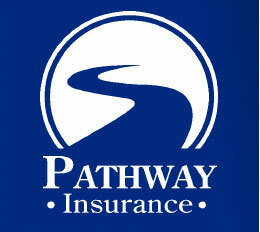 Pathway Insurance is a leading agency specializing in low-cost rates for Tow Truck Insurance in El Paso Texas and all of the surrounding areas. We offer coverage throughout the state of Texas for new companies offering towing services as well as well-established companies. Coverage available for Garages and Car Dealerships as well. If you find our website after 5 PM, or on the weekend, click on El Paso Texas Tow Truck Insurance Quotes to send us your request for information 24 hours per day or use our online chat system. Online agents are available 7 days per week to provide quotes and issue new insurance policies. 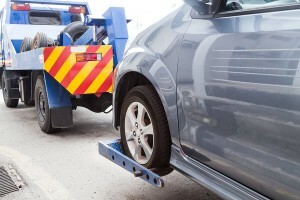 It’s a Good Idea to Read Your Texas Tow Truck Insurance Policy Thoroughly. The worst time to learn that something wasn’t covered on your policy is after the claim already happens, would you agree with that? Your insurance policy is a legal contract between you and the underwriting company so it’s important for you to understand not only the basics of your coverage but the terms, conditions, and exclusions of coverage. In a previous article we discussed On Hook Coverage and why it is an important coverage for you to add to your Business Insurance Package. Let’s assume for a moment that you own a garage and you own a tow truck as a courtesy to pick up customer vehicles awaiting repair work. Without On Hook Coverage endorsed to your towing insurance package you could be held liable for damages caused to customer vehicles while you’re transporting them even if the accident is not your fault. In a previous article we discussed how a driver working for Tiny Tim Towing Service is involved in a not at fault accident. Tiny Tim Towing Service was transporting a BMW owned by Ted Peterson and unfortunately that vehicle was struck by an individual driving a stolen car who promptly fled the scene after the accident. A claim was submitted to Tiny Tim’s Towing Service insurance carrier and they agreed to accept partial responsibility for the damages to the vehicle. What Type of Vehicles Are Covered by on Hook Coverage? What if the owner of the garage or towing company was transporting their own vehicles or watercraft and they were damaged in a similar fashion to Mr. Peterson’s 2012 BMW? Unfortunately there would likely be a coverage problem because as you can clearly see the vehicles or watercraft cannot be owned by the insured. El Paso Texas Tow Truck Insurance Is More Complicated Than You Might Think. As the above example illustrates truck insurance is a bit more complicated than the price we pay for it. Because of this reason it’s important to work with our agency to help you find the coverage you need to protect your business financially. Call us today by dialing 800-998-0662 during normal business hours – Monday through Friday 9 AM to 5 PM (CST). For your convenience we have an online quote request system that you can use by clicking on El Paso Tow Truck Insurance Quotes.